Greetings from the Andromedean Galaxy. We are your neighbors, friends and allies. We have our brothers and sisters present on your planet as light bearers. We see swirls of thick black shadow engulfing your inhabited spaces. We see the construction of future cities hidden from the population. The secrets run deep. Black energy, the vacuum of greed and hate, envelops the human collective consciousness. Negative coding runs through all motherboards. Our allies in the skies and on the ground see all as we do. 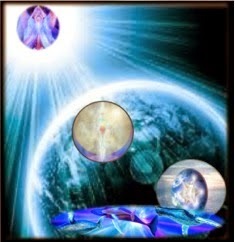 Crystalline Lightwaves are being channeled through celestial portals to target this black energy and break it up. The energy has faces and remnants of past lives. The astral plane is being cleared to lighten the frequencies around the planet. 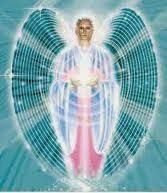 We are here to offer words of comfort to those realigning to higher dimensional realms. The process each of you has undertaken will manifest as your soul journey and purpose. Many of you are finding breaking the programming very difficult. We would like to share with you ways you can break the negative coding and raise your inner vibration. Breath is utmost importance for connecting the human mind body and soul. Part of the machinery of enslavement is to keep your breathing shallow, drawn into the throat only. Perpetual breath into throat limits energy flow into the lower and upper chakras. By breathing in a shallow manner the chi circulation is lessened, blocked and eventually cut off. To switch on your energetic being focus on deepening and lengthening the breath. Change how you breathe. Slow it down. 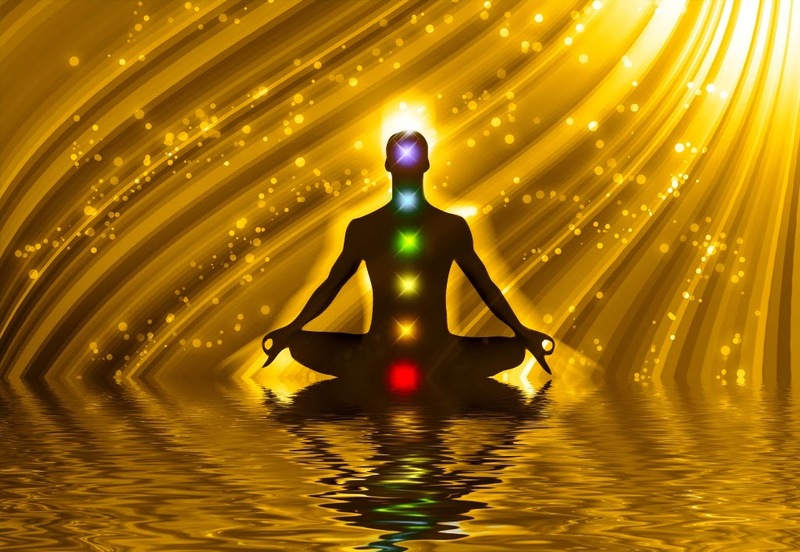 The frequencies have changed enabling more cleansing prana energy to enter your bodies. Breathe deep and long, integrate this practice into your daily lives. The 4D 5G network of low bandwidths relies on your breath being shallow. Breathing deeply activates the circulation of Chi around your bodies and energetic chakric system. Unplugging from the matrix can be done with Breathwork. The Shift is a frequency shift. This means that the material plane now encompasses the Fourth and lower Fifth realms. Much work has been done to get this far. We would like to update you on the sky wars. 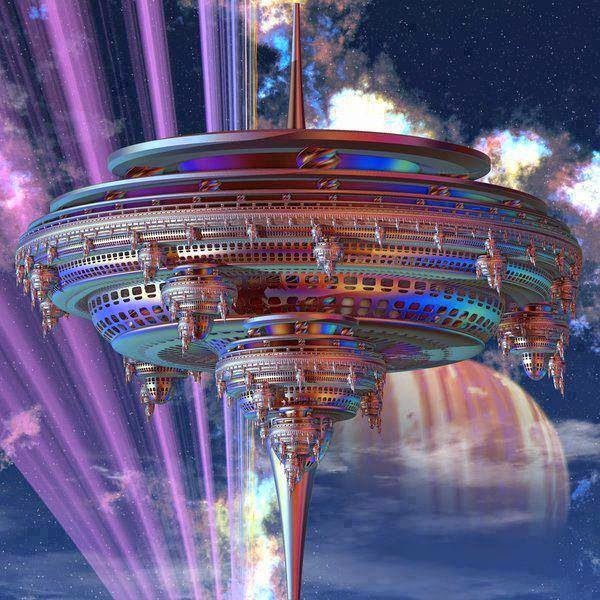 The Andromedean-Arcturian-Pleadian Alliance continues to blast Archon ships and the 4D Dark Matrix, under construction, with Light Photon Waves. The higher frequencies causes the Archon machinery to malfunction. Whilst their grip on the human collective consciousness remains, they are struggling to keep their machinery functioning. Their desperation comes from the urgency to anchor the Dark Matrix to the material plane before the next shift. 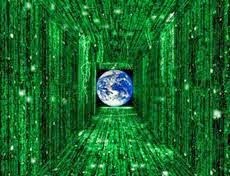 Enough remnants of the 3D Matrix remain locked into human DNA memory, that most are unaware of the Shift in their Reality. The Third Shift will dismantle the 3D Matrix for good. This is the root of the fear you are witnessing in their human counterparts. Motherships on both sides are hovering above your atmosphere. Smaller craft are entering and leaving constantly. Many are being spotted, filmed and discussed on your cyber web. Disclosure is being fed to the population in small, easier to digest chunks. The Archons do not want disclosure as it will expand collective Human consciousness beyond the limits set for their enslavement. Disinformation is at a premium. Sabotage of truth is a huge element in their war with us and their enslavement of humanity. As we push back against dark energies we witness the turmoil of humanity, caught in the crossfire. We and our allies are assisting Gaia as she raises the vibrations on her planet. Her celestial brothers and sisters aid Her in Her endeavors to save Herself and Humanity. The Dark Being the Archons serve wishes to retain his stronghold on Gaia. The Council of 12 have determined the free will of humanity is being suppressed. We are here as representatives of a long line of ancient races who have invested in humanity. We wish to see Gaia soar to heights of evolved existence. Too many times we have had to step in and delete programs in the matrix, rescue and remove societies under direct threat and intervene in galactic atrocities sourced as Archon. We endeavor to bring this chaotic duality cycle on Gaia to an end. As was foretold across galaxies, dimensions and timelines. The Age of Aquarius is the dawn of enlightenment for humanity on Gaia. Theirs is a tougher birth than most due to infiltration by a predator/parasitic species [Draco Reptilian - ED]. The duality of light and dark will play out in perpetual motion in lower realms. This is Universal Balance. The point of tension must exist for souls to grow. We must all struggle with primitive drives, demons and darkness to evolve. On planet Earth this duality cycle has reached unusual and extreme dimensions, yet truth plays itself out through the mists of your timelines. 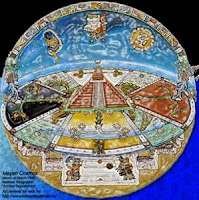 To help clarify the past and future timelines we point you towards the Mayan culture. Theirs was of Truth. The Mayans are with us now, integrated into the intergalactic community around your Galaxy. Their spiritual and scientific knowledge had far exceeded expectations on Gaia. As the darker timelines marched into their territories they worked with Interstellar visitors to mark truths into the ground of Gaia. Each was discovered, destroyed or covered up as the dark armies embedded their control systems on Gaia. The matrix machine was constructed during this time period. Dimensional portals were played with carelessly, as they are now with CERN, and a new species was born. Hybrids building hybrids. The core processing systems of humanity were modified using quantum technologies far beyond the knowledge of most advanced 3D species. As humanity battles to disengage with her Enemy, we are working to dismantle the modifications integrated onto your motherboards. Modifications which limit expansion to higher states of being [restoration of full 12 strand quantum human DNA -ED]. The separation of the heart and the ego is the true source of the human ego’s fear. The lock-down to greed, competition, hate and envy is woven into the genetics of humanity. The fear and mind control are tools to maintain low vibratory fields required for the modifications to hold. Raising your vibration is the key to breaking matrix modifications. Raising your vibration will also enable downloads to process. Lightbody activation can only occur when your vibration has reached a tipping point on the frequency spectrum and is embedded into higher frequencies. The disabling of the 3D and 4D matrices is being handled by your allies. We align with celestial events to maximize humanities chances for liberation. To fully activate your Lightbody each must face their fears, their demons and their truth. This is a universal law within the timelines of duality all must experience. As each human wakes up their truth emerges. As we watch we witness the reason why the Archons fight so hard. They have amassed quite an army of humans who have chosen to serve their demons. We understand the truths the Mayans warned all about. The Akashic records devote vast spaces to the philosophies of humanity. The inner war of good versus evil played out as manifested reality. We are astounded by the spectrum of color, of creativity and esoteric thought embedded within the human collective consciousness. The human psyche is complex and vast. This underlines the need for assistance. It is clear when viewed from above that humanity should, at various points in her history, have made the collective quantum leap of consciousness required to establish peace and prosperity. We are here to redress the balance; to take Humanity back in some ways to those moments and free Her to make the leap. 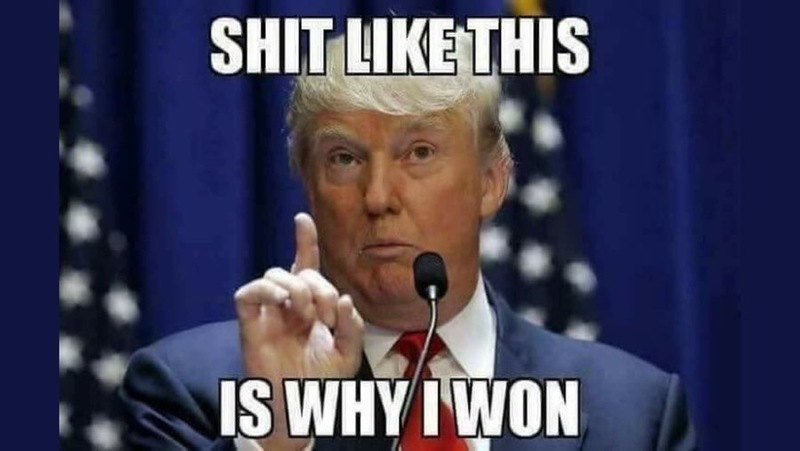 Truth has been buried for too long. Whatever happens Humanity will not continue in its state of perpetual memory loops, trapped in engineered recycling soul centers. The time has come. The Matrix uses chemical warfare in products, food and the skies to maintain their control. Lightbody activation occurs when the use of these weapons are modified. Do everything in moderation. Whilst prana can sustain humans on the material plane it’s not advisable at this time. Hydration and fuel are necessary to break the chains. Drink water, eat well and exercise for heightened circulation of chi. Lightening your vibration is about breathing into your energetic body to activate the chakric system. It is also avoiding chemicals in food, pharmaceuticals and products that cause modifications in DNA or brain activity. Alcohol should be avoided, it is a portal to the astral. Many of the toxins are designed to lower your cellular vibratory field, encouraging disease of mind and body. The engineered separation of the trinity mind body soul is at the heart of the control system. To retrieve your Soul meditate. Go deeper into yourself than you have before. Sovereignty is the journey to self. It breaks the chains because it reinstates dignity and self respect. The system requires humanity be either victimized or seduced into selling their sovereignty for material rewards. The selling of the Soul is integral coding in the Fourth Realm dark machinery of the Matrix. We breathe Light into you and your Realities. Beings of Light assist in the skies and hearts of Humanity to break the Dark chains. Light burns dark. Dark envelops the shadows. The Light pushes through regardless. Metaphysics demonstrates that all dark will come to pass as light, the perpetual dawn. Timelines indicate the people’s of Earth are Awakening and seeking to right the wrongs done to them. For now, we maintain our allied position of aligned support from above, paired with ongoing Light Warrior and Worker guidance on the ground. We hold spaces of Love for all who are Servants of the Light. We are in awe of the karmic pain many of you are currently experiencing as two back to back shifts have hammered home Truth energies. It is with great love and honor that we work with you for the greater good of Humanity and Gaia. We are your loyal guides, allies and neighbors. We believe peace will happen within the timelines and lifetimes of those living the Ascension of Gaia. We transmit Healing Light to all who resonate with our words, now.